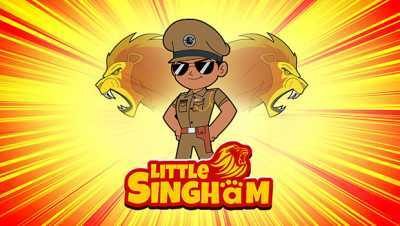 Little Singham is an Indian animated television series produced by Rohit Shetty Picturez, in collaboration with Discovery Kids and Reliance Animation (a Reliance Entertainment Company). It premiered on 21 April 2018 on Discovery Kids (India). It showcases the life of Singham as a little boy, who fights criminals, monsters, and dangerous mutants to save his city. The show is based on the film Singham and is directed by Vikram Veturi. The show has planned 156 episodes and 5 telefilms for the first season written by Sonam Shekhawat, Nidhi Anand, Angelene Kaur and Yash Thakur.